"Walter Calvo's Forbidden Love offers a refreshing and hopeful view of love as seen through the prism of beauty and youth. It's inspiring to hear his millennium generation voice speak so softly and sweetly in the physical, emotional and spiritual revelation of love."
. "and a little child shall lead them. If you are looking for love, young Mr. Calvo, has lead us to love through his writings. Thank you for speaking from your heart and sharing your innermost thoughts, thank you for daring to be different, thank you for setting the standards, for reaching beyond yourself and sharing the love that some view as Forbidden, but it is simply You. This book is the essence of pure love." "Creativity does not come effortlessly for it takes hard work and dedication. Walter has learned this lesson early in life and has the faucet wide open in his pursuit of the arts. As his art professor, I see a passion that is unmatched by most students. 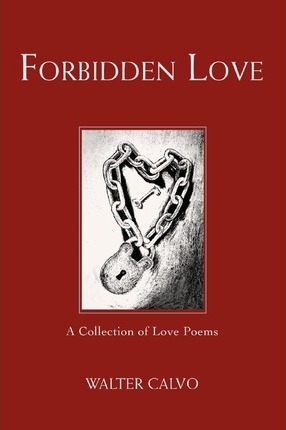 This passion is skillfully displayed in Forbidden Love. Excelsior!"